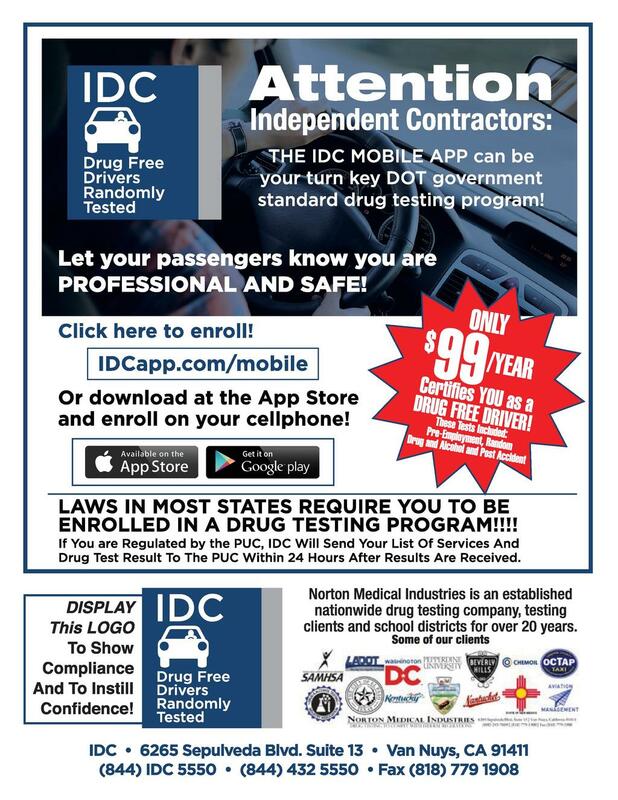 Independent Driver Consortium is a division of Norton Medical Industries, a nationwide drug testing company with over 20 years of experience. Since 1989, our mission has been to discourage the use of drugs in the working population. Visit our principal site, www.nortonmedical.com, to learn more about our company and the services that we offer. We have a highly variable pool of clients that includes: the Government of Washington D.C.; City of Beverly Hills; Pepperdine University; Municipal Transit of El Paso, Texas; Santa Monica-Malibu School District, Santa Monica Community College District, Alhambra School District, and Westmont College. Contact us today to learn more!